*Council on Foundations survey of private foundations with assets between $101 and $500 million. The Foundation actively votes its proxies along Institutional Shareholder Services (ISS) Socially Responsible criteria. All of the Foundation’s fund managers are required to utilize these guidelines in voting our shares of publicly held corporations. Since 2011 Park Foundation has, working through intermediaries, offered its holdings for filing or co-filing shareholder resolutions on issues of priority to the Foundation. In 2019 the Foundation is participating in eleven resolutions, primarily around environmental and community impacts and investment risk from natural gas hydrofracking, water stewardship, stranded carbon asset risk, requesting reports on reducing greenhouse gas emissions, and media. To conduct these resolutions withholdings that would otherwise be excluded from the portfolio, the Foundation maintains a separate Shareholder Action Account where it retains stocks at a low value (less than $10,000) to be used for executing resolutions. This account holds approximately 34 stocks that are primarily oil and gas, agriculture and media companies. The Foundation also selectively signs on to letters on issues of interest to the Foundation. In 2018 these issues included the media governance on privacy, the human right to water, energy sector water risk, and peaceful protest regulations. Park Foundation was one of the original 17 signatories to the 2014 Divest/Invest Philanthropy Initiative that encouraged foundations to divest themselves of carbon stocks, and commit themselves to “climate solutions” investments. Park Foundation has, with the exception of holdings in the Shareholder Action Account described above, eliminated the “Carbon Underground 200” stocks from its portfolio. The Foundation has conservatively estimated that climate solutions investments constitute approximately 15% of its current portfolio. In 2017, the Foundation estimated the carbon footprint of its equity portfolio. The carbon footprint was calculated using the Scope 1 and Scope 2 emissions for each company, per company reported data or per MSCI estimations. The portion of the carbon footprint of a company attributed to the investment portfolio was proportional to the percentage of the company owned by the Foundation. A high portfolio carbon footprint relative to an appropriate benchmark can point to the presence of companies that generate significant greenhouse gases. According to an analysis conducted in April 2017, the carbon footprint of Park Foundation’s public equity holdings was approximately 12% of the MSCI ACWI Benchmark. Equity positions held for shareholder action or with missing emissions data on MSCI were excluded from the analysis. In addition, a few equity funds were also excluded. The full report on the Foundation’s carbon footprint analysis is located at Carbon Footprint Publication. Wherever possible the Foundation invests locally. It maintains credit card accounts with the local community bank and operating checking accounts with an Ithaca-based regional bank. The Foundation’s PRI commitments and other local investments total in excess of $6 million. The Foundation’s working definition of impact investing is when we actively seek opportunities to invest in companies that advance environmental solutions. Our primary focus is on water stewardship. It actively screens investments along water guidelines (see Water section of ESG Policy Park Foundation - Park Foundation - Revised ESG Policy Statement -March 2017). In parallel with its grantmaking around environment and water, the Foundation has an interest in investing in water. To this end it has produced two studies "Park Foundation Water Risk Report (2015)" Dan Apfel and Jon M. Jensen, and "Park Foundation Water Investing Values and Sector Summaries 2016" Dan Apfel. These studies respectively examine risk factors in investing in water and application of the Foundation's values to investing in water. Here is the Foundation's office Platinum certification LEED Scorecard . A summary of the Foundation’s Green Plus score and final report (PDF Download) The Green Plus certification process was assisted by interns Shea O’Meara of Ithaca College and Maegan Krieger of Cornell University. HOLT Architects of Ithaca, NY led the LEED certification process with Foundation assistance by Maegan Krieger. Park Foundation offsets its travel-related carbon emissions by calculating staff and Trustee work-related travel, including staff commuting. In 2018 this totaled 26.9 tons for $673.00. Offsets are calculated and an annual contribution is made to Sustainable Tompkins Finger Lakes Climate Fund. Proceeds from this fund assist low-income families in Tompkins County in conducting energy efficiency retrofits to their homes. 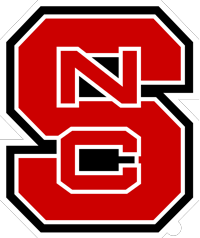 The Park Scholar Program at North Carolina State University (NCSU) and Ithaca College represent legacy interests of Roy H. Park Sr. He was a graduate in Journalism from NCSU and served on the Board of Trustees of Ithaca College. Both programs reflect his desire to help the most qualified students acquire degrees. In over two decades since it began the Scholar Programs, the Foundation has provided grant support totaling over $131 million in direct support and $80 million in endowment gifts. In 2013, Park Foundation established an endowment for the NCSU Scholarship program with an initial gift of $10 million. In 2018 the Foundation completed this commitment with gifts bringing the total to $50 million. Significant elements of this endowment include the University’s commitment to invest the endowment in a socially responsible fashion, and its commitment to raise an additional $50 million as part of its current capital campaign. As of October 31, 2018, the University has raised $2,846,702 in gifts and pledges towards this goal. The NCSU Park Scholarship program supports nearly 40 new scholarships each year, and its roster of current scholars and alumni is nearing 1,000. Recipients are selected by NCSU through national recruitment and a rigorous review process that includes on-campus interviews of finalists. Those selected have demonstrated achievement and potential in four key areas: scholarship, leadership, service and character. The grants cover tuition and fees, room and board, books and supplies, a computer stipend and living expenses. The scholars represent a wide array of majors across the entire university, including business, engineering, the humanities, public administration and the sciences. Program enhancements include enrichment grants, specialized faculty mentoring, retreats, and leadership learning and myriad civic engagement opportunities. In 2014, Park Foundation established an endowment for the program with an initial gift of $5 million. In 2019 the Foundation completed its commitment, bringing endowment gifts to $30 million. Like the NCSU endowment, Ithaca College has committed to investing this endowment in a socially responsible fashion. The Program targets outstanding students entering the Roy H. Park School of Communications. Three hundred and twenty-five students have joined the Scholars program since its inception, studying the full range of communications majors including cinema, documentaries, emerging media, TV-Radio, journalism, management and marketing. Scholars are encouraged and trained to use the power of mass communication to make a positive impact on the world. In a typical year, the program supports a total of fifty or more students with commitments to cover the entire cost of attendance: tuition, room and board, books and supplies, and stipends for a computer and living expenses. One feature of the program is the “rising juniors” opportunity for meritorious students to receive a scholarship for the final two years of their undergraduate degree. Program enhancements include multiple opportunities for community engagement, leadership, and service training for participation locally, nationally and globally. Park Scholar alumni live, work and serve across the nation from New England to the Pacific Northwest, from Florida to Texas to California.